Many things change as time passes. Vision is one of them. The aging process affects clarity and quality of vision, which may affect your ability to drive at night. Two primary causes of vision loss with age are cataracts and presbyopia. Advances in Cataract Surgery - With approximately three million procedures performed each year in the U.S., cataract surgery is the most common surgical eye procedure. It has a proven track record for restoring vision. The standard surgical treatment for cataracts is to remove the cloudy crystalline lens (cataract) and replace it with an intraocular lens implant to restore vision. 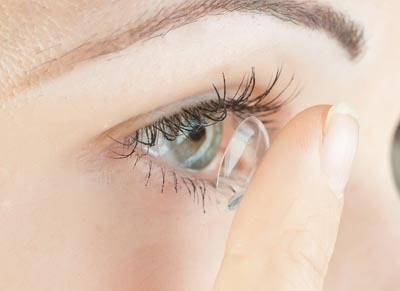 When performed using a conventional lens implant, this treatment still leaves many people dependant on glasses in their daily lives. Now new lens technologies allow us to do more. Today, presbyopia can be treated at the same time as cataracts with new technology lens implants. 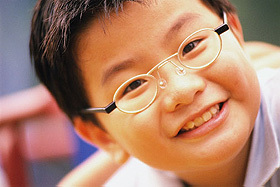 The Opportunity to Reduce Your Dependence on Glasses in Everyday Life. Today, you have lens implant options that can provide the vision to do everyday tasks without depending on glasses. For those people that don’t mind wearing glasses or those who have certain eye health issues, a conventional lens implant (“monofocal” lens) may be the best option. Implants such as these have been used to treat millions of people, and provide good vision after cataract surgery. Your doctor will explain these options if they are right for you. 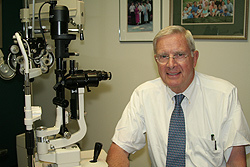 At The Rhode Island Eye Institute, we have six experienced doctors who specialize in cataract surgery. Call our office in Providence at 401-272-2020, our East Providence office at 401-437-0500, our South Kingstown office at 401-272-2020, or our Fall River office at 508-679-0150 to schedule an appointment with Thomas Lang, M.D.,, Elliot M. Perlman, M.D., Christopher J. Newton, M.D., Sarah Anis, M.D., and Durga S Larkin, M.D.. 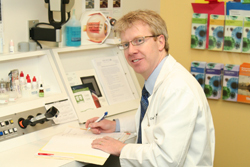 Examination - A technician evaluates your visual acuity and checks your glasses prescription. Then the doctor examines the front part of the eye using a slit lamp bio-microscope, an instrument that provides a magnified view of the cornea. 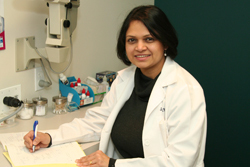 Treatment - Some corneal diseases are easily treatable with new glasses or simply with drops. Many cases of keratoconus can be treated with contact lenses. More severe corneal scars, advanced dystrophies, and advanced keratoconus are often treated with corneal transplant surgery. Corneal Transplantation is a delicate but highly successful procedure. Under an operating microscope, the doctor removes the diseased part of the cornea and replaces it with a donated healthy cornea. The donor cornea is secured into position with a number of very fine nylon sutures. The operation, which takes about an hour, is most often performed as an outpatient procedure and done with either local or general anesthesia. What is Corneal Crosslinking (CXL)? - Until 2003, there was no treatment to stop or reverse the progression of the disease. In that year, Dr. Theo Seiler and other ophthalmologists in Germany found that putting riboflavin drops on the corneas of keratoconus patients and then treating the corneas with a specific wavelength of ultraviolet (UV) light would strengthen the cornea, and halt the progression of the disease in most patients. The UV light induces a chemical reaction which links fine fibrils in the cornea together. The successful results of this treatment have been verified in numerous excellent clinical studies throughout the world. CXL has thus become the standard of care for keratoconus patients everywhere else in the world (except for the US). Dr. Perlman is the first Rhode Island ophthalmologist to offer the only FDA-approved corneal cross-linking therapy for the treatment of progressive keratoconus and corneal ectasia. 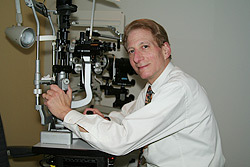 Elliot M. Perlman, M.D. is one of the first corneal surgeons in New England to perform a new type of corneal transplant, called DSAEK (Descemet's Stripping Automated Endothelial Keratoplasty). 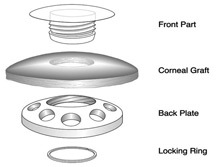 In this procedure, only the innermost layers of the cornea are transplanted. DSAEK utilizes very few sutures and allows a more rapid recovery time than conventional corneal transplant. 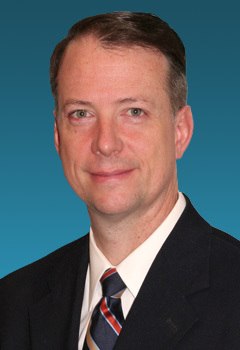 Christopher J. Newton, M.D. is a leading regional corneal surgeon, specializing in the surgical and medical treatment of corneal and anterior segment disease including keratoconus, Fuch's dystrophy, corneal ulcerations, ocular surface disorders and dry eye. The Rhode Island Eye Institute offers a full range of surgical and non-surgical cosmetic procedures that can dramatically improve the appearance of the eyes, forehead, face and neck. Ophthalmic plastic and reconstructive surgeons – such as our own Dr. R. Jeffrey Hofmann - are trained and certified in both eye surgery and plastic surgery making them the best qualified to perform delicate and complex procedures. “Puffiness”, “bags”, and “circles” around the eyes, drooping brows, as well as fine lines, wrinkles, jowls, scars in the skin, and many other manifestations of the aging process can now be treated often with minimal or no downtime. The latest advances in cosmetic facial procedures and skin rejuvenation make it easier than ever to maintain a healthy, youthful appearance. Some of these procedures such as Botox®, and facial fillers - including Restylane, Collagen and Juvederm - are non-invasive, requiring no downtime at all. Others, such as blepharoplasty (eyelid tuck), fat injections, or liposuction require minimal downtime. Laser Skin Resurfacing - a procedure that uses a precise laser to smooth facial wrinkles, acne scars, and other common signs of aging and sun-damage. The most common form of glaucoma is called “primary open-angle glaucoma.” This condition is painless and the patient can slowly lose vision and not be aware of the problem until it is very advanced. 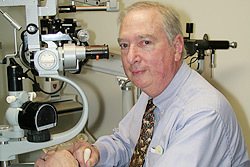 Glaucoma is a leading cause of blindness in the United States, especially for older people. If untreated, glaucoma can lead to total loss of vision, which is why early detection through routine eye exams and treatment are so important. Eye reconstructive surgery is a specialized area of ophthalmology that focuses on the eyelids and the structures surrounding the eye, including problems of the lacrimal (tear) system and the orbit, the region surrounding the eyeball. Ophthalmic Plastic and Reconstructive surgeons – such as Dr. R. Jeffrey Hofmann – are the most qualified physicians to treat these conditions. They have had extensive training in surgery of the eye and even more training in reconstructive surgery with particular attention to the eyelids and face. 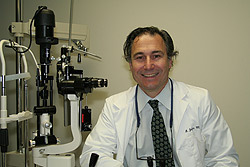 Dr. Hofmann has been a fellow of the American Society of Ophthalmic Plastic and Reconstructive Surgery for over twenty years (see www.asoprs.org). Most reconstructive procedures are performed to improve the function of the eye following trauma, removal of a tumor, or eyelid malposition. But care is taken to improve aesthetic appearance as well. 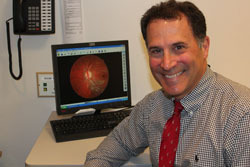 Jeffrey Hofmann, M.D., specializes in plastic and reconstructive surgery at The Rhode Island Eye Institute. Call our office in Providence at 401-272-2020, our East Providence office at 401-437-0500, or our Fall River office at 508-679-0150 to schedule an appointment. Refraction refers to the bending of light as it passes through the cornea and the lens to the retina. Three factors can play a part in determining how well the eye refracts (or bends) light: the shape of the cornea, the power of the lens, and the length of the eyeball. When these three factors are in correct proportion to one another, light is properly focused on the retina resulting in clear, normal vision. However, if any of these factors are not in correct proportion, refractive problems such as myopia (nearsightedness), hyperopia (farsightedness), and astigmatism can occur. The conventional treatment for these conditions is glasses or contact lenses. However, more and more people are now choosing refractive surgery, or LASIK (laser in-situ keratomileusis), to correct their vision. A highly successful procedure, LASIK can significantly reduce or eliminate the need for corrective lenses. The Rhode Island Eye Institute offers free screening to determine if you are a candidate for LASIK. The ideal candidate is over 18 years of age and has healthy corneas. Candidates must not have had a significant increase in their prescription in the last 12 months. People with certain medical conditions or women who are pregnant may not be good candidates for LASIK. The LASIK procedure uses the Excimer laser to surgically reshape the cornea, the clear dome in the front of the eye. First the eye is completely numbed with anesthetic eye drops and an eyelid holder is placed between the eyelids to prevent blinking. The doctor uses an instrument called a microkeratome to create a protective flap in the front of the cornea. The flap is then retracted and a small amount of corneal tissue is removed with the laser. 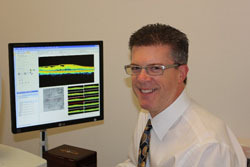 Some patients may be candidates for a new kind of LASIK called CustomVue™ or “wavefront”. This enhanced version uses WaveScan®-based digital technology to create a precise, customized 3-D map of the eye called a WavePrint®. The WaveScan consists of a sensor and a laser, which sends a wave of light through the eye to the retina. As the light is reflected back through the eye, the sensor measures the unique characteristics of the eye. This information is then translated into a mathematical formula that the doctor uses to program the laser and perform the procedure. Our staff will explain your financial responsibilities in detail. Payment in full is accepted via cash, check or credit card before treatment. For your convenience, we accept major forms of credit card. The retina is a very thin, but complex tissue that lines the back of the eye. It is composed of millions of cells, including photoreceptor cells that sense light and send images to the brain. There are many conditions that can impair the retina’s ability to receive and transmit images. The most common retinal diseases are diabetic retinopathy, age-related macular degeneration, and retinal detachments. These conditions are all very serious and if not treated, can lead to loss of vision. 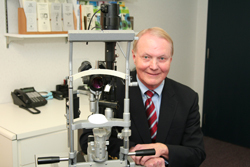 A retinal examination is the only way to properly diagnose retinal problems. Serious retinal diseases can often be treated before the patient begins to experience vision problems. During the exam the ophthalmologist first dilates the pupil using drops and then looks inside the eye with an ophthalmoscope, a device that allows the physician to clearly see the retina. In some cases, additional testing is required. One test is a fluorescein angiogram, which can help the doctor evaluate the retina more easily. In this test, a small amount of dye is injected into a vein in the hand or arm. As the dye circulates through the blood vessels of the retina, photographs of the retina are taken. Another effective test is the Optical Coherence Tomography (OCT), a new technology we are pleased to offer at The Rhode Island Eye Institute. This rapid imaging device bounces light rays off the retina and the reflections are transmitted to a computer. The result is a detailed 3-D cross-section of the retina. 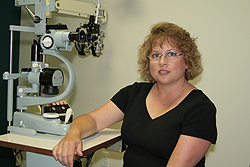 Many retinal diseases can be treated with various forms of laser light. These very powerful light beams can help destroy abnormal blood vessels in the retina or act to seal off retinal tears. Laser therapy is usually done in our office with anesthetic drops or anesthetic injection around the eye to ease any discomfort. Other retinal diseases require surgery. Most retinal surgery involves first removing the vitreous gel (the clear fluid inside the eye), and then using delicate instruments to remove any abnormal tissue from the surface of the retina. Retinal surgery is usually done in a hospital operating room with a local anesthetic. 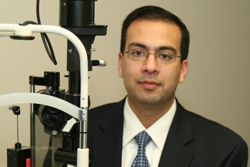 Gaurav Gupta, M.D. treats all medical and surgical diseases of the retina and vitreous. Call 401-272-2020 in our Providence office or call 508-679-0150 our Fall River office for more information or to schedule an appointment. At your eye exam, the doctor will assess the overall health and function of your eyes. The sharpness of your vision will be checked with visual acuity tests. A pressure test checks for glaucoma. The doctor may dilate your eyes using drops to get a better view of the internal structures of your eye. If you have been dilated, you should not expose your eyes to bright light for a few hours after the exam until the effects of the drops wear off. 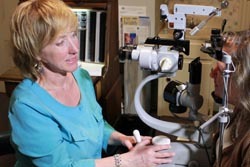 The Rhode Island Eye Institute is one of the largest providers of comprehensive, state-of-the-art eye care in New England. 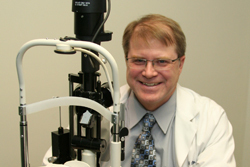 Our practice consists of 16 ophthalmologists, three optometrists, and a support staff of over 98 people. 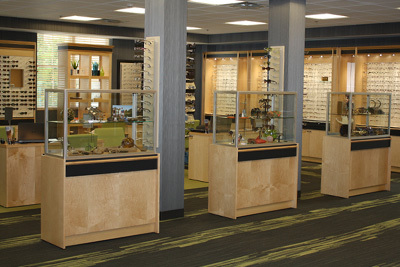 We are dedicated to providing comprehensive eye care. Our 25,000-square-foot facility in Providence, Rhode Island and our satellite offices in East Providence, Rhode Island, South Kingstown, Rhode Island, and Fall River, Massachusetts are fully outfitted with the latest, state-of-the-art ophthalmic equipment. We take pride in our clinical excellence and commitment to education and research.